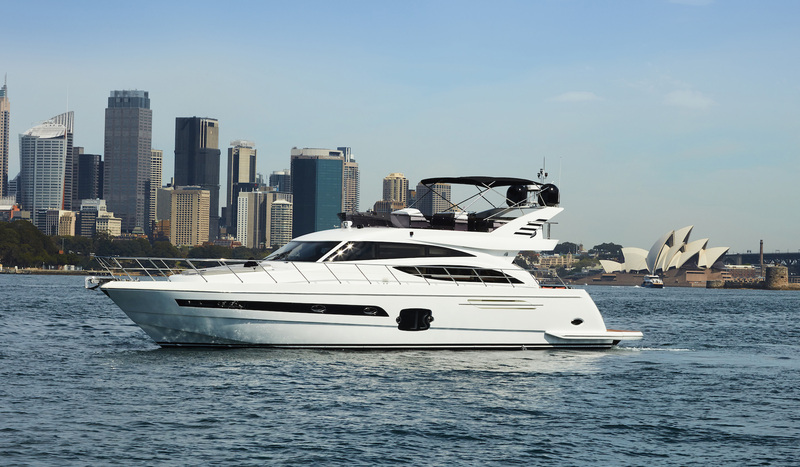 The newest entrant to the Australian luxury boat market, Longreef Yachts, will display its new 60 SX Flybridge at the Sanctuary Cove International Boat Show in May, and will serve as the debut for the 60 SX in Queensland. The Longreef 60 SX Flybridge was purchased on day two of its first Sydney Boat Show in August last year and returns from Queensland’s Whitsunday Islands for the show. The boat was designed through feedback from 400 boat owners. The result is a super-refined boat providing both functional accessibility, with all the glamour and grandeur of a superyacht. The Longreef 60 SX brings a casual sophisticated interior that is focused on relaxation,” says Andy Young, CEO of Longreef Yachts. The boat also features an indoor/outdoor layout, giant swim platform, a sun lounge on the fore deck and a huge flybridge for maximum views. 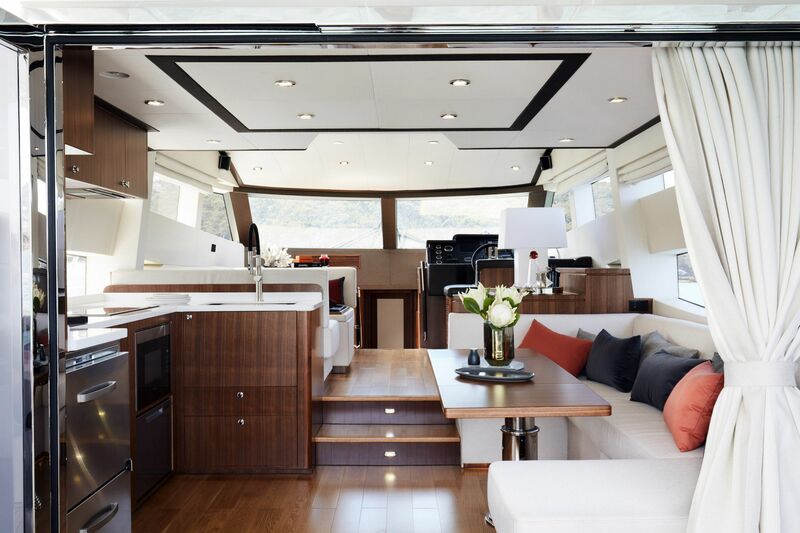 Bi-fold tinted glass doors open to provide a shared space between the comfortable interior and the aft deck. She easily accommodates two families across three luxurious bedrooms including a full-beam owners bedroom amidships. Double pullman bunks in the downstairs lounge and in a crew cabin aft of the engine room make this one of very few 60-foot boats that will comfortably sleep 10. The super-large flybridge with its bimini cover is reached by a staircase from the aft deck. The Longreef 60 SX Flybridge is powered by a pair of Cummins 550 hp diesel engines.